Twelve cultural and religious organisations have been awarded the Medal of Service to usher in 2016-the commencement of Guyana’s 50th Independence Anniversary and a year in which President David Granger hopes will mark a rebirth of the nation. “We, the Guyanese people, chose to change the country’s political culture when we elected a multi-party coalition in 2015. It is now time for a ‘national renaissance.’ It is time for a new beginning. It is time to redouble our efforts to banish crime, disease, ignorance and poverty,” he said in nationwide New Year’s address. The African Cultural and Development Association was awarded the Medal Service for its outstanding service over the past twenty-three years in promoting harmonious race relations, community development and in association with international agencies and countrywide organizations, in advancing the educational, social and economic development of Guyana. In recognition of its sustained contributions in the development of the fine arts, the E.R. Burrowes School of Art received its Medal of Service. The Guyana Veterans Legion’s long and dedicated service in promoting harmonious relations, support, counselling and accommodation among veterans of World Wars 1 and 2 and the Guyana Defence Force earned it the Medal of Service. The Makushi Research Unit was recognised for its indefatigable efforts in reviving the indigenous culture of the Makushi People of the North Rupununi by the teaching and translation as well as the publication of books in the Makushi language. The Medal of Service was awarded to Ming’s Products and Services for its 25 years of outstanding service to Guyana in the distribution and servicing of quality products and the development of good business, customer and community relations. The National Dance Company’s long and considerable contribution in the field of dance and its unwavering commitment to develop and promote this art form was awarded with a Medal of Service. For outstanding service over the past 25 years in the fields of sports, education and community development, the Rose Hall Town Youth and Sports Club will be the recipient of the Medal of Service. The Roadside Baptist Church Skills Training Centre Inc. was recognised with a Medal of Service for sustained, dedicated and outstanding service in the field of education and in community and social work. A similar National Award would be awarded to the South Central Peoples Development Association For the resource management of Wapishana traditional lands and communities in the south central Rupununi through empowerment of the indigenous peoples, poverty reduction and sustainable use of traditional lands. The Theatre Guild of Guyana earned the Medal of Service for its considerable and meritorious contributions in the form of production and performance in the theatre arts. In the arena of religion, the Central Assembly of God Church was awarded the Medal of Service for its outstanding role in providing religious, social and educational leadership in the community. The Guyana Islamic Trust was recognised for its sustained and outstanding service as a social and religious organization and its partnership with local communities in which it constructed three schools. Granger promised to reinforce national unity. We can be one nation only if all sections of our population feel that they share in our country’s development. We must, in 2016, dispel hatred among individuals and groups. We must move forward as a united nation, constantly reaffirming our national motto –‘One people, One nation, One destiny,” he said. 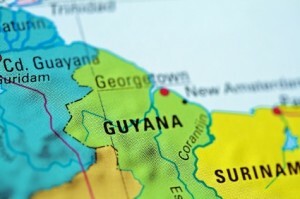 The Guyanese leader pledged his government’s commitment to use national infrastructure to integrate the coastland with the hinterland and provide greater access and exploitation of the resources of the hinterland for the rest of Guyana. Granger promised to strengthen national institutions which promote a sense of national identity and ensure a stable legal and constitutional environment. “We shall defend the integrity and independence of our National Assembly, the judiciary and the autonomous agencies,” he said. The President reiterated that government would “equip the enforcement arms of the state with the resources to enable them to serve our citizens and safeguard our independence.” “We shall ensure that local government elections are conducted this year to empower our people to better administer their communities,” he said. In the area of national security, Granger promised that his administration would continue to reinforce national security in order to protect the country’s patrimony in the face of threats from our neighbours to the east and west, and secure Guyanese from the threat of national and transnational crime, violence and chaos. The President said his government would continue to build public trust by improving and extending education, health, sanitation, water supply, electricity services, affordable housing, social protection to the vulnerable and decent working conditions to everyone. Public services must also include having happy households in safe communities with adequate facilities for recreation. The seven-month old APNU+AFC administration promised to respect and preserve our national symbols and monuments, assert our identity and celebrate our achievements.